Male patrons splashing out on sashes and flower garlands for their favourite hostesses is a common scene at Thai discos. However, this is not something you would typically see at a coffee shop in the heartlands. 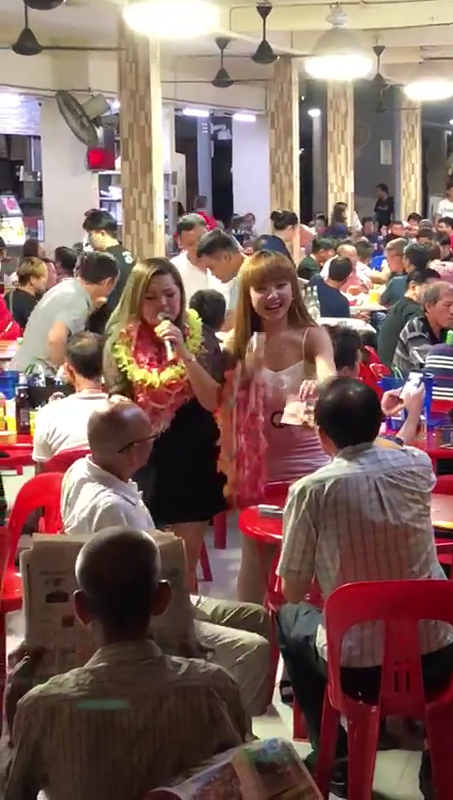 On Oct 6, Facebook user Debbie Simpson Ong posted two videos showing women singing in front of two men at a kopitiam in Woodlands. The incident, said to be a promotional event for the coffee shop, is believed to have occurred at Block 167 Woodlands Street 11 on Oct 5, at around 10.30pm. 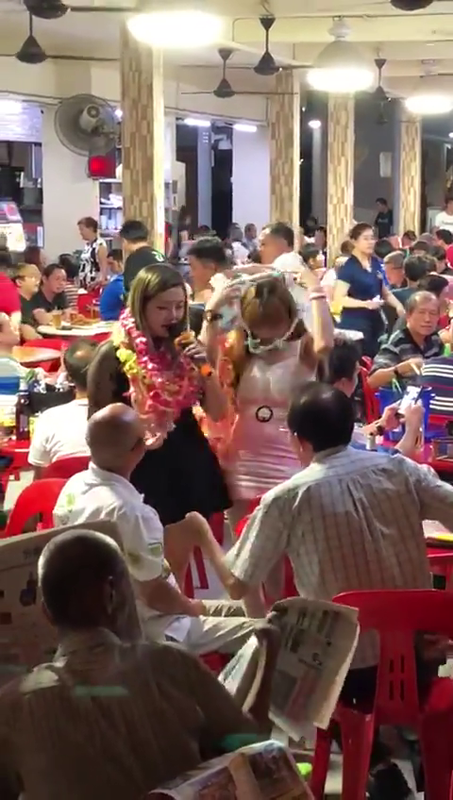 In the first video, one of the men can be seen handing a woman a $10 note from his wallet in exchange for a flower garland while a second woman sings over a microphone. His male companion then hangs the garland on the singer's neck. The same man also passes the woman another $10 note, before she hangs a garland on her own neck. The two guys are seen interacting with a different pair of women in Debbie's second video. Netizens had mixed reactions to Debbie's post, which has since garnered more than 3,700 shares and nearly 300 comments.